Let’s talk about edgy outerwear garment called a leather jacket. 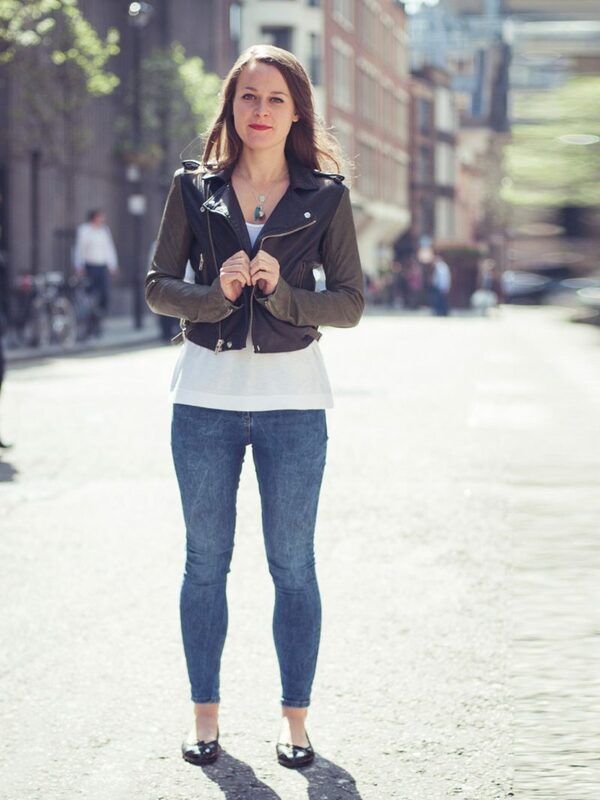 Today’s topic is how to style your leather jacket in casual chic ways this year. What I love about this garment, then it’s a sophisticated appearance that can add edge to any chic and simple outfits. There are so many interesting leather jacket styles and colors to choose from. 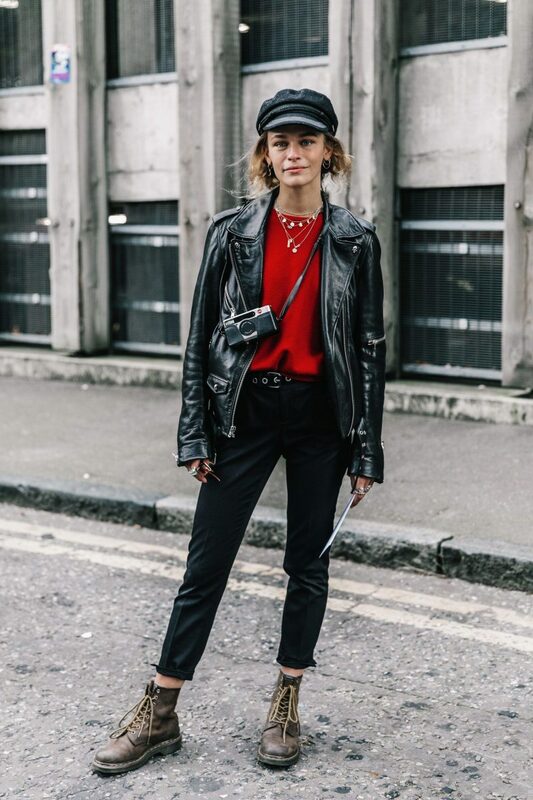 If you are looking for casual and chic ways to style your leather jacket, then you are on the right page darling, as we are about to see iconic street style looks, where ladies appear in chic and trendy outfits completed with this beautiful outerwear piece. 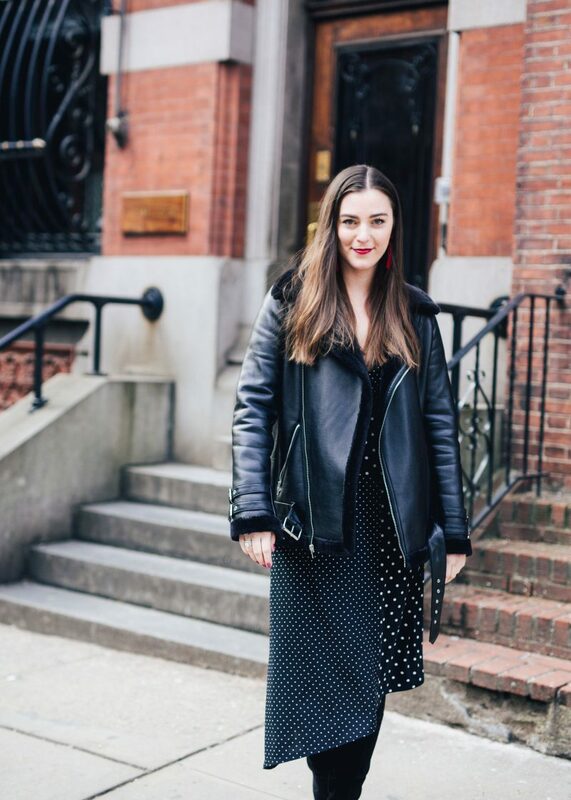 No matter if your look is plain or dressy, just throw on your leather jacket. Read on to find out more. First of all, you should play with proportions. Believe me, proportions can make you look slimmer. I highly recommend to wear leather jacket with shorts and ankle-boots, than being fully covered in jeans and boots. While those of you who still want to wear jeans, then I advice you to choose skinnies and pair them with cropped leather jacket, or use a cropped top and classic fit jacket. Don’t be afraid of experimenting, as you can play with various combos, starting from cropped pans to oversized sweaters or off-shoulder blouses. Remember one very simple thing, always finish your outfit with eye-catching accessories, like stylish bags, beautiful shoes and sunglasses. Another great thing how to make your leather jacket look awesome is to create some texture. Break up with textures, proportions and colors. For instance, you can wear dark color jacket with floral print cotton shirt tucked in feathery black mini skirt, or you can go for a black leather jacket and style it with lace white top and velvet skinny trousers. In other words saying, you should pair leather with creative textures. As we all know, leather is edgy by itself, that’s why pairing it with other leather garments will only make it look tougher. Think of leather jacket paired with leather dress, skirt, pants, shorts, tops, etc. I am so in love with fully black leather outfits. If you are not into edgy and boyish looks, then you can always create ladylike outfits. You need sweet and sultry dress in flowy fit, soft draping or flouncy fabrics. 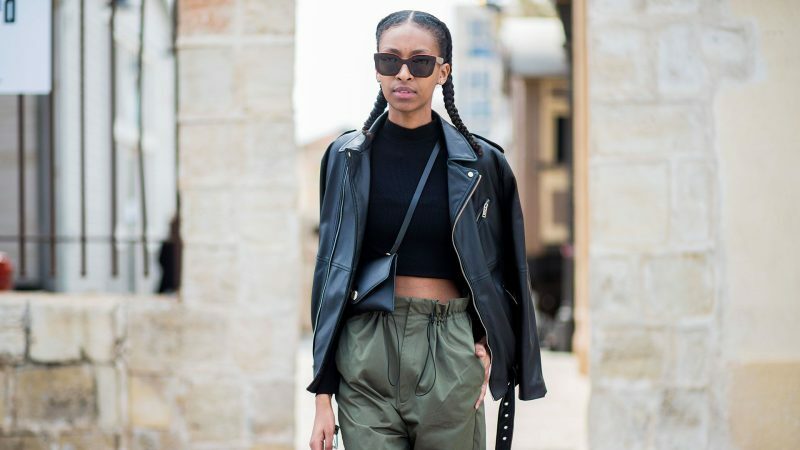 I love to see gals who appear on the streets wearing loose-fit wide jumpsuits covered with classic leather jackets. How about keeping things modern and trendy by wearing leather jacket with stylish prints. This will reflect your personality. Start from classic prints, like houndstooth, stripes, florals, chevron, plaids, tartan, or keep things funky and creative by choosing graphic prints, camouflage, abstract, etc. You can always make your casual outfit look edgy by wearing your cool leather jacket with simple tees and denim jeans. If you are bored of wearing black leather jackets, then how about buying bold color jacket? Choose from burgundy to blue, red and green. This year I see lots of ladies who choose pastel hues. Remember one thing: wearing colored jacket, you should keep your outfit simple and solid colored.